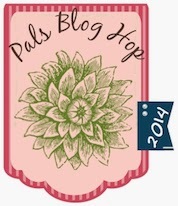 Welcome to the May Pals Blog Hop. This is the first hop on our new day - the 2nd Wednesday of the month. Before we celebrate the release of the new Stampin' Up! catalog next month, we want to take time to say goodbye to our favorite retiring products. This month we are showcasing projects that feature stamps or accessories that are retiring along with the 2013-14 Idea Book & Catalog on June 4. You may just be starting the blog hop or may have come from Rae Harper at Wild West Paper Arts (http://wildwestpaperarts.com/), stop 12 on the Pals Hop. If you get off track at any time, the full lineup below will help you move along from blog to blog. One of my favorite embossing folders is the Lattice which is being retired with the current catalog. (To see all the products on the Retired List in the Stampin' Up! store click here. Products are only available while supplies last!) It can be used in many different ways including embedded embossing in which layers of cardstock are embossed as a unit creating a look resembling quilting - very effective! Another way it can be used is to create a texture resembling woven straw. That is how I used it here on the hat brim which I then combined with ribbon and a Circle Treat cup to create a favor that could be used for lots of different spring events. I used Midnight Muse cardstock, one of the 2012-2014 InColors, which is retiring at the end of this month. It is my favorite navy color. Another of the retiring InColors that I also love is Summer Starfruit. All of the 2012-2014 InColor cardstock quickly sold out and Stampin' Up! 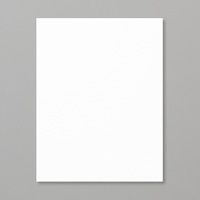 has just announced that they have obtained additional 2012-2014 InColor cardstock in a limited quantity. It is only available while supplies last! All products in these colors are available in the Stampin' Up! store while supplies last here. In order to get the treats out of the cup without destroying the hat I created a "door" on the back of the project from Shimmery White cardstock. I first used the Midnight Muse cardstock for the door but did not like the look with my white treats. I decided they looked better against the Shimmery White. 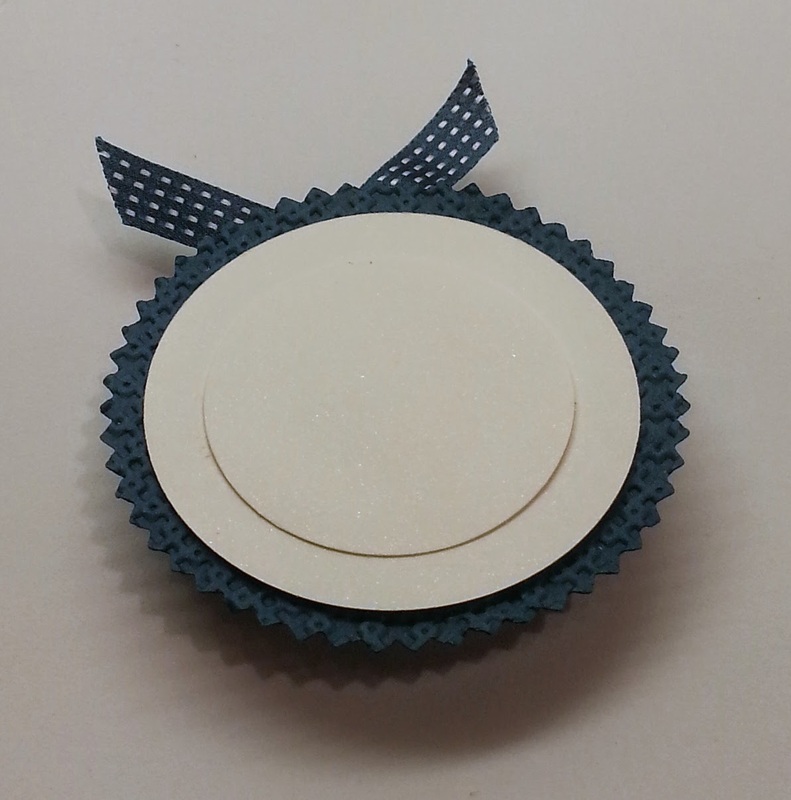 For the "door" first used a 1" circle punch to cut out a circle from a piece of Shimmery White cardstock. I then centered a Circle Framelit over the punched hole and cut out a larger circle piece of a sufficient size to hide the bottom of the Treat cup. I then adhered that piece to the underside of the cardstock and the bottom of the Treat cup. The Treat cup has adhesive on the bottom side and and I used Sticky Strip to adhere the Shimmery White piece to the underside of the "hat". 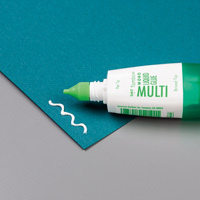 Once again I think I would use a liquid glue in the future. I then punched a 1 3/4" circle out of the Shimmery White for the actual "door". I used Multi-purpose glue and made the "door" removable by applying the glue to both pieces of cardstock and letting it dry completely before placing them together. In this way the "door" can be removed to retrieve a treat and then replaced! I wanted white candy in the cup so I filled it with Shimmer White Sixlets. This candy is available in many one color packages in the baking/cake decorating department of grocery stores, including Walmart. Here is a picture of the underside of the completed project. 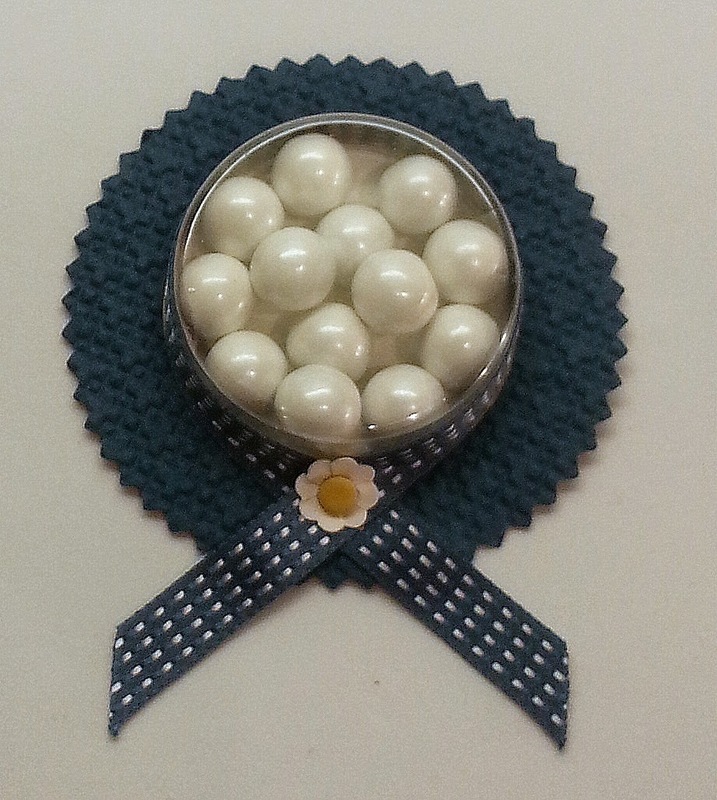 The next stop is Colleen Mollema at Uncanny Crafting, stop 14 on the Pals Blog Hop! Thanks for visiting and I hope to see you next month. Love this idea! This would be so fun to give at a tea party or a Kentucky Derby celebration. Adorable! This is such a cute treat holder! So sweet! I really like the simplicity of this - yet there are so many wonderful details. Thanks Brian! You are always so good at explaining why you like something. I love these hats! How fun to get one of these at an event! How cute is this?! Love especially for a party favor! Great idea! These Treat Cups can be used in so many ways. You are only limited by your imagination. I am so glad they didn't retire! How wonderfully fabulous and thank you for sharing your tutorial!!! I am the Queen Mother (means only that I started my group) of a group of Red Hat ladies...this will be such fun to do in red and purple...maybe even the new Blackberry Bliss....thank you!! Oh some of these would be perfect for the Red Hat Ladies! Blackberry Bliss does sound perfect. If you are interested in the Sixlets they do come in a medium shade of lavender. It might work with Blackberry Bliss! OMG, a straw hat! Love it! Must case it! The Lattice folder is perfect for this! Did I say how sad I was that it is retiring?! Super cute idea. Very pretty! Katie, I love this party favor. Great idea. Love the Square Lattice folder and have used it in many ways but not a straw hat. Into the CASE file it goes! Thanks Rae and everyone for your comments! It was a great Hop! Thank you Rae for all you did to make it happen!! omgosh, this is too cute!